The Bride wears a sweetheart neckline gown and holds a pink rose bouquet. The groom in a black tux with white collared shirt and undershirt, carry his loved one. 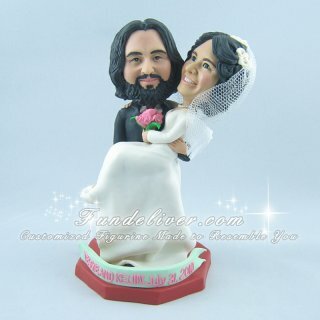 It is an excellent gift for engagement as it personifies the love of the couple.